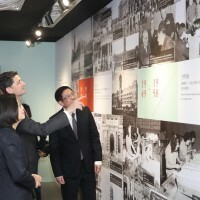 If you are one of the vast majority of Taiwanese residents who reside in the dense urban sprawl that makes up most of the country’s western plains, it would be easy to stare out of your window at the concrete jungle and question how Taiwan ever came by the name of "Ihla Formosa" or beautiful island. There are a number of beautiful areas in the central mountain range that could have made it onto this list, but I have opted for Shei-Pa National Park because it is one of the most unspoiled and least visited. Located on the borders of Hsinchu (新竹), Miaoli (苗栗) and Taichung (台中), Shei-Pa National Park is just over 75,000 hectares of stunning mountain scenery that epitomizes the best of the central mountain range. The highest mountain is Xueshan (雪山) which, at 3,886 meters is the second highest peak on the island. It is the origin of several major rivers including the Danshui (淡水), and these have hewn spectacular valleys through the mountains. 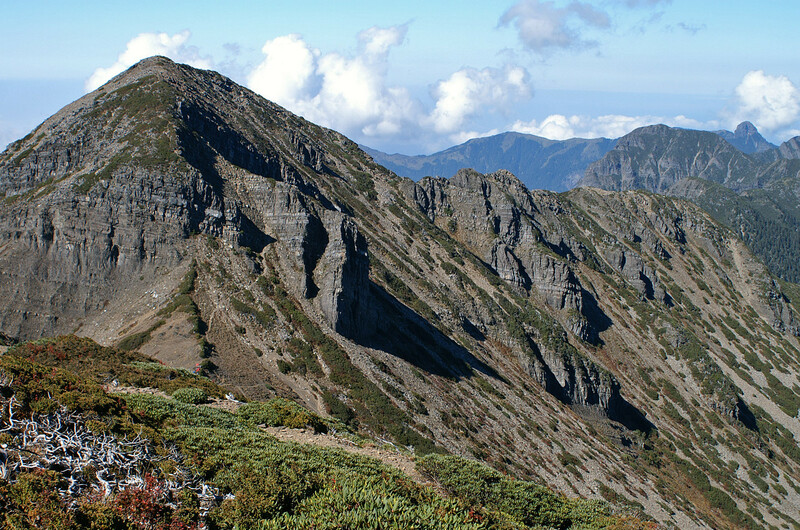 Shei-Pa National Park is made up of various different ecosystems and so is home to a wide variety of animal and plant life, including the Formosan Black Bear. There are numerous scenic areas and trails for visitors to explore, but permits are needed to enter the parks conservation areas. Xiaoliuqiu is a small island situated off the coast of southern Taiwan and accessible by ferry from the harbor at Donggang (東港). Xiaoliuqiu is a bit of a tourist magnet these days sadly and some notable natural sites such as the Vase Rock (花瓶岩)and the Black Dwarf Cave(烏鬼洞) have lost some of their mystique due to the sheer volume of people that are seemingly ever present there. But one natural wonder which does still captivate is the Sea Turtles. 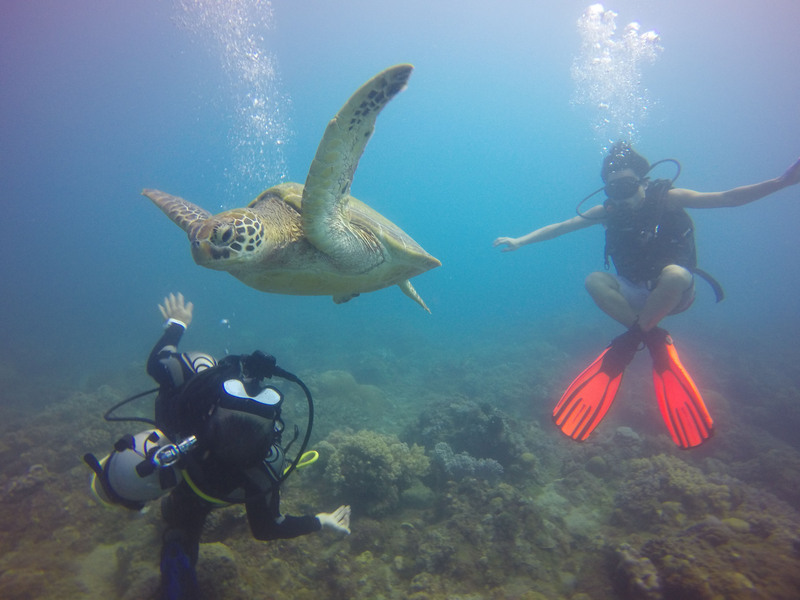 Xiaoliuqiu is home to an abundance of Green Sea Turtles and it is possible for visitors to dive and snorkel with them in the sea which is a hugely fulfilling experience. In the summer months, female turtles come ashore at Xiaoliuqiu to lay their eggs and the sight of turtle eggs hatching and baby turtles making their way to the sea is without question one of nature’s great sites. The coastline of Longdong is said to resemble a sleeping dragon which is why the name Longdong or Dragons Cave has stuck. It is a spectacular bay, located in the north-east of the country which features crystal clear waters and geologically fascinating cliffs. The sea in Longdong bay is home to a plentiful supply of marine life which makes it a popular destination for divers and snorkelers. Meanwhile, the 2-km-long cliff face is very high and composed largely of coarse quartz conglomerate which has not only created various different formations, but also comes in a multitude of colors, with everything from grey, yellow, black, red, orange, gold, and silver visible. It is popular with rock climbers but even if you don’t have a head for heights, it is definitely a sight worth seeing. Yehliu Geo Park is the location of some of the world’s most unique geological formations and is without doubt one of Taiwan’s most famous natural wonders. 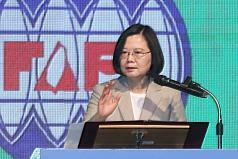 It is situated along a 1.7km long cape near the small town of Wanli (萬里). The soft limestone rocks here have been gradually eroded over time by wind, waves, and the sea to form a fascinating and beautiful alien landscape. 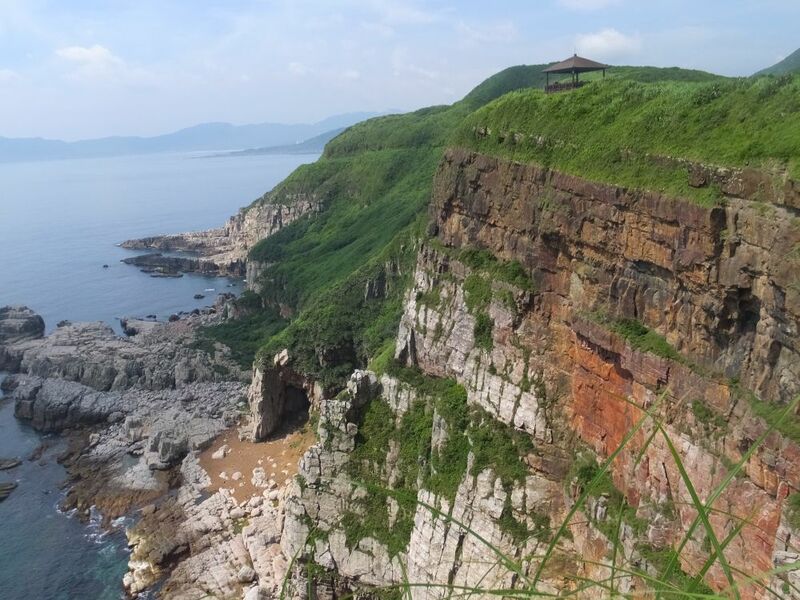 The most famous formation in Yehliu Geo Park is unquestionably the Queens Head (女王頭) which, when viewed from the right angle does indeed look as its name suggests. But there are plenty more fascinating shapes to be seen including Sea Candles (燭台石), Fairy Shoe (仙女鞋), Ginger Rocks, Elephant Rock, Ice Cream Rock, Kissing Rock, and Princess' Head. All the formations are fragile so the strict boundary lines must be adhered to, but if you find a view through the crowds, Yehliu is a truly staggering spectacle. 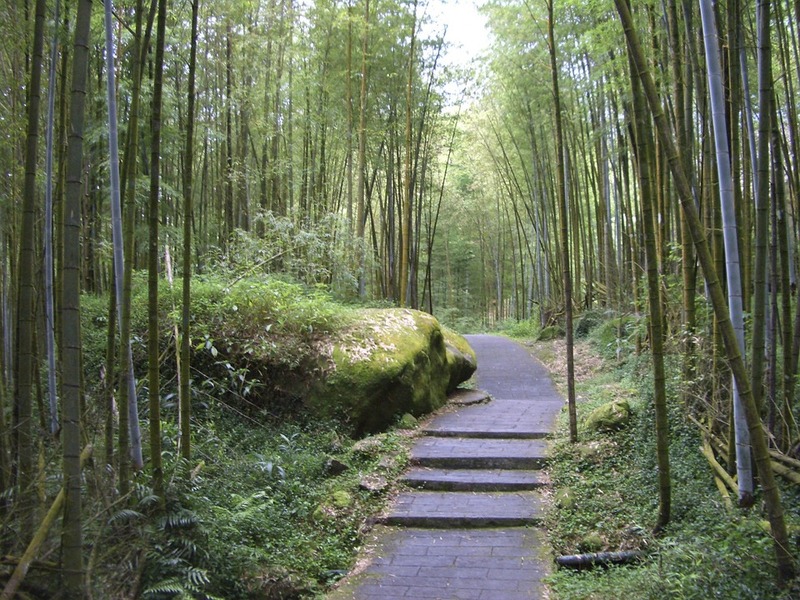 The Xitou Nature Education Area is the official name of what most people know as the Xitou Bamboo Forest. 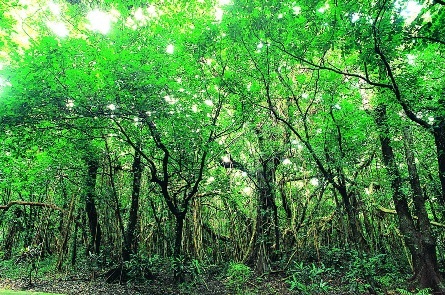 The extensive and well-managed forest of bamboo sits in a valley high in the mountains of Nantou. Its climate is cool all year round which explains unique wildlife and picturesque mists that can descend at any time of the day. There are lots of different trails that visitors can walk and while the main walk, which is actually a road, is frequently busy, some of the smaller and less regularly used trails offer a great opportunity to see this unique ecosystem up close. You can even walk all the way to the park’s observatory which is situated at a height of more than 2,000 metres and offers spectacular views over the mountains and, on a clear day, as far as Sun Moon Lake. You can also visit the nearby Shanlinxi Forest Recreation Area (杉林溪森林生態園區) which, around this time of year, offers the beautiful site of more than 500 dawn redwood trees turning orange and shedding their leaves. Rueili is a pretty mountain town in Chaiyi (嘉義) which is famous for its tea plantations and home to numerous tea shops an pretty B&Bs. But the standout attraction in Rueili for many are the fireflies. Rueili is home to a variety of different firefly species and while they can be seen all year round to some extent, the peak season, when you can be certain of seeing swarms of them is between March and June. 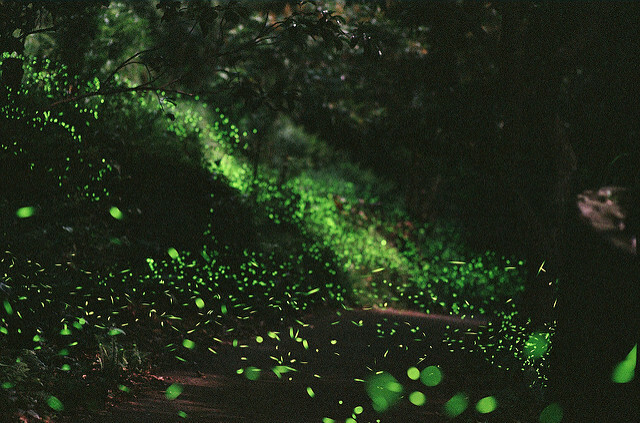 If you haven’t seen Fireflies before, it is undoubtedly one of nature’s most spectacular show. April is the peak breeding season and the sight of thousands of brightly lit fireflies darting and dancing around in the darkness is hypnotic, tranquil, and truly magical. There are other places in Taiwan where Fireflies can be seen such as Miaoli (苗栗), Taitung (台中), and Namashan County (高雄那瑪夏區), Nantou. But for me, Rueili is where the most spectacular shows can be seen. 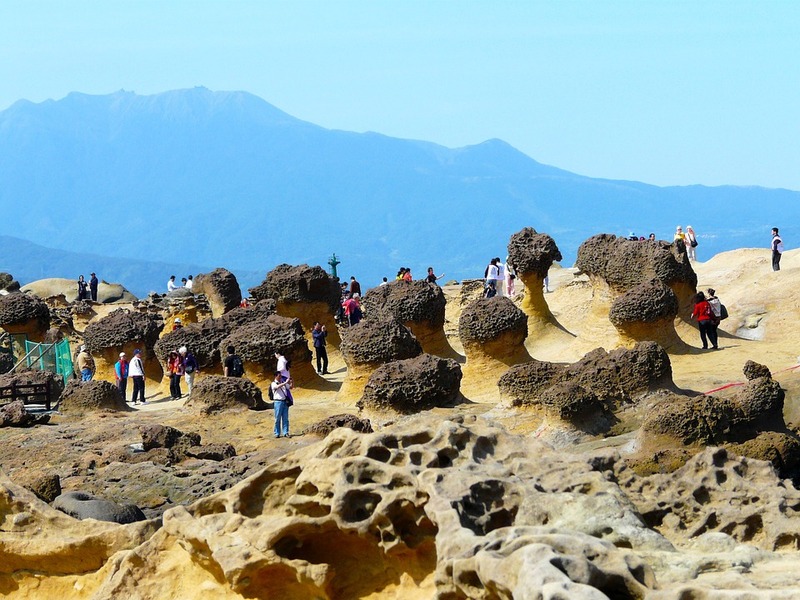 Tianliao Moonworld is situated on the eastern fringes of Kaohsiung and, as the name suggests, is the location of a fascinating lunaresque landscape. The terrain here is of grey mudstone and has over the year’s been eroded away to leave the area looking like a desert and leaving formations which resemble the surface of the moon and on which plant life cannot grow. Tianliao is not unique with other Moonworld landscapes existing at Caoshan Moon World (岡山月世界) in Zuozhen District (竹山區), Tainan and also a smaller example at Tardy-Hill Natural Park(漯底山自然公園) to the north of Kaohsiung. 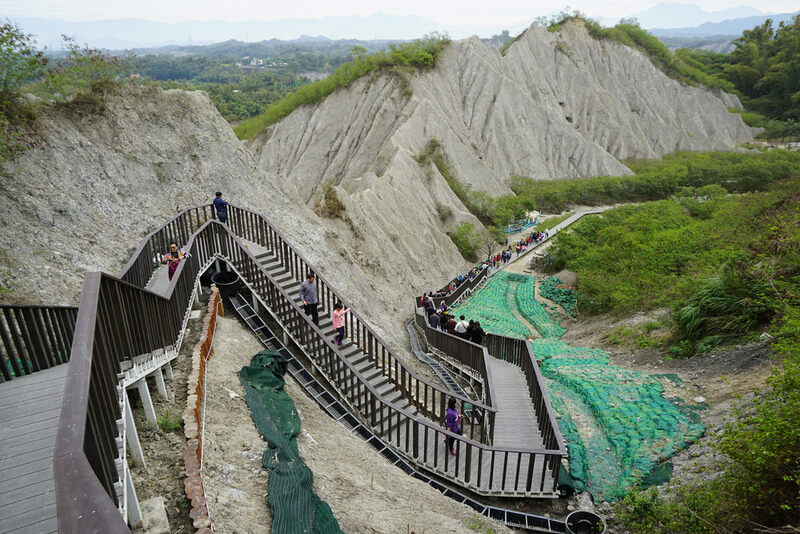 But Tianliao’s scale, as well as its accessible trails, visitors facilities, and proximity to other interesting sites such as the nearby Mud Volcano, make it the best one to visit. Penghu unique beauty is difficult to understate and it is tough to select from the multitude of stunning natural scenery it has to offer. 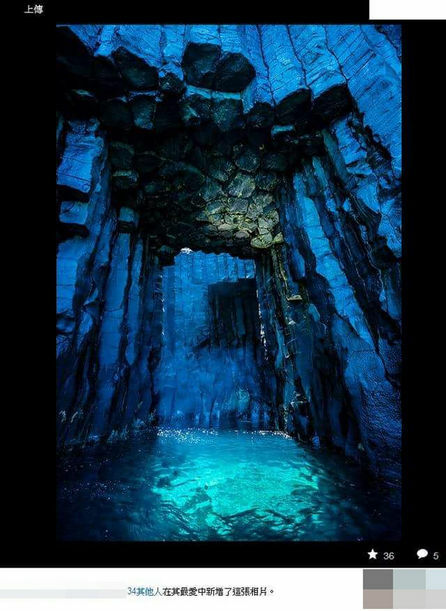 The Blue Cave is undoubtedly a highlight though. Situated on the uninhabited Xiji Islet(西吉嶼) in the South Penghu Marine National Park, the Blue Cave features Penghu’s trademark basalt columns inside a cave which is beautifully lit up thanks to a large opening in the rocky ceiling. The light reflecting on the clear blue sea in the cave lights the whole place up in a shimmering bright blue light which is a truly staggering spectacle. Sadly, dangerous currents and rockfalls have made the cave unsafe to visit and anyone found entering the cave can expect a heavy fine. But many boat tours still stop outside the cave to offer visitors a tantalizing glimpse of one of Taiwan’s unique natural wonders. While Kenting may be best known for its beaches, water sports, and raucous nightlife, in the Kenting National Forest Recreation Area, a totally unique world awaits visitors. The area was once an undersea coral reef and the unique landscape of limestone caves, narrow canyons and cliff walls is an impressive sight. Huge banyan trees fill the park and their giant roots wind their way impressively around the landscape. There is more too. 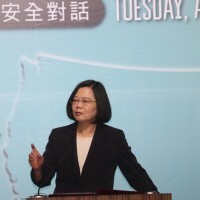 The site is home to a cave structure where the old underground water system has created a world of stalactites and stalagmites, the like of which cannot be seen anywhere else in Taiwan. Kenting National Forest Recreation Area can get very busy, but there is nowhere else in Taiwan quite like it. No list of Taiwan’s natural wonders is complete would be complete without a mention of its most famous natural attraction; Taroko Gorge. This huge gorge was carved out of marble over hundreds of the thousands of years by the Liwu river. It is one of Taiwan’s biggest tourist attraction and rightly so as visitors flock to see such spectacles as the Swallow Grotto (燕子口). Huge numbers of tourist can spoil visitors enjoyment of Taroko Gorge and I have written previously about a few places you can visit which are off the usual tourist trail here. 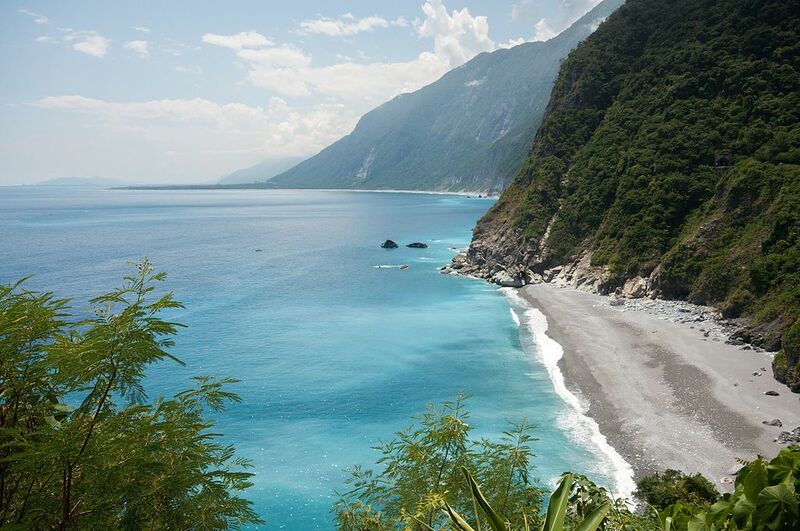 Equally, if not more impressive than Taroko Gorge are the nearby Qingshui Cliffs. These spectacular cliffs are more than 1,000 meters and drop almost vertically into the Pacific Ocean where they just keep going down. 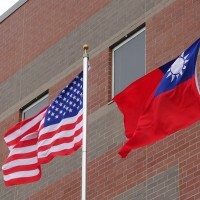 They are the best place in Taiwan to get a real feel for the geography of the island as you can just picture the island balanced on edge of the mighty Pacific rim. There are various viewing platforms but to really get a sense of their scale, a great way to see them is from a canoe on the ocean itself.